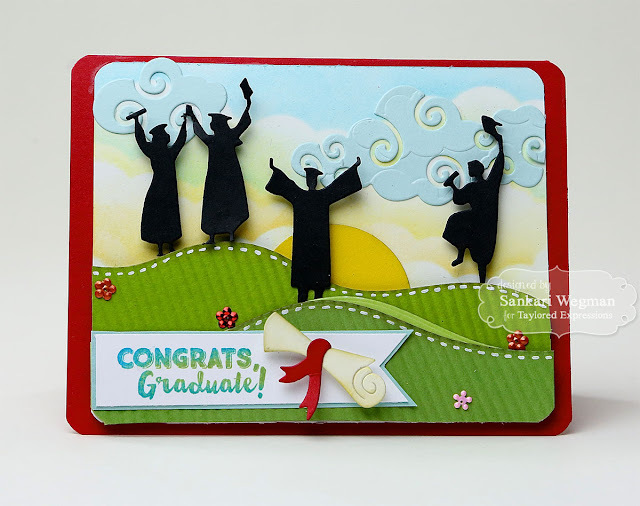 Today I am excited to show you some cards that I have made using mainly dies and the same sentiment stamp "Congrats Grad" from the stamp set Grad Grumplings! 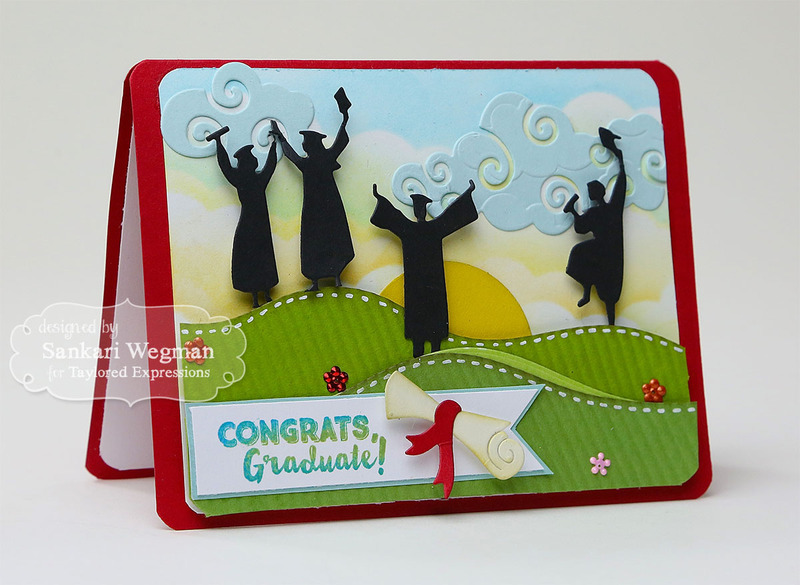 For my first card, I created a little scene using the Eventful - Graduation border and the Build a Scene Rolling Hills dies and Swirly Clouds dies. 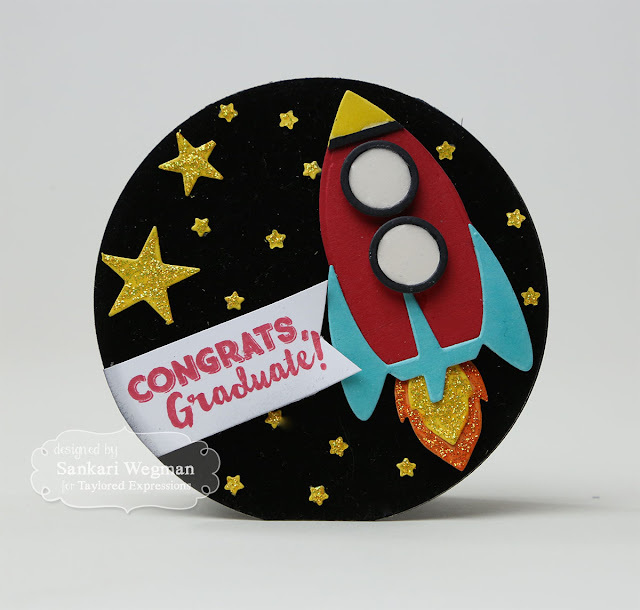 For the sentiment, I stamped it into two colors and then added a little sponged diploma using the Little Bits - Diploma die (isn't it just the cutest diploma ever!? :D .... 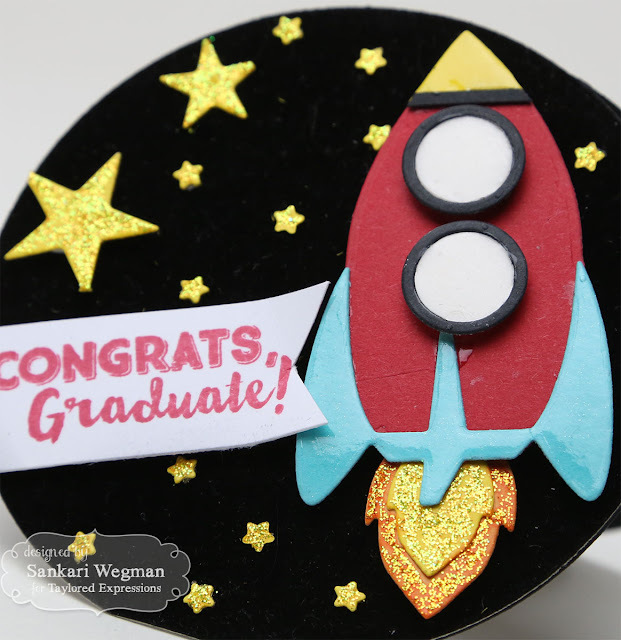 I just loved how this turned out !! 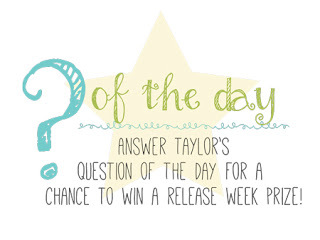 Tomorrow is Release Day - so please hop back tomorrow for another fun card from this awesome release!! 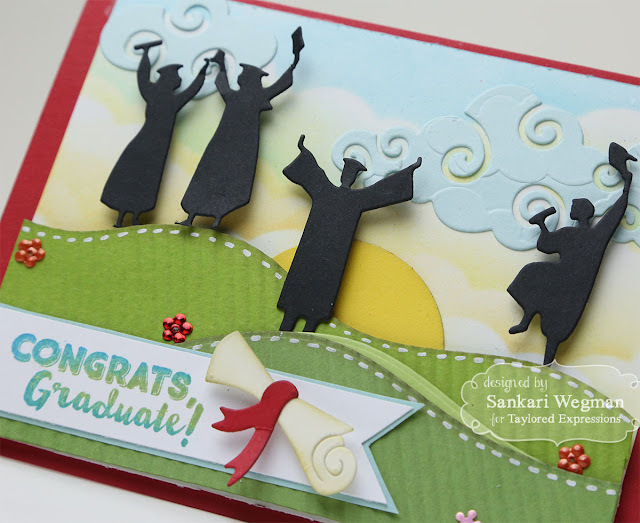 What cool grad cards!!! Love them both. Great job!